What price a British double? Can AJ and Pricey both win on Saturday? Fight fans are bracing themselves for two big heavyweight collisions on Saturday night in Cardiff, Wales. But while one fight, the Anthony Joshua-Joseph Parker three-belt unification showdown, is seen as a highly competitive duel, the supporting feature, between Alexander Povetkin and David Price, is almost universally seen as a sure-fire win for the visiting fighter. But what price both British juggernauts enjoy victory and between them send the New Zealander and the Russian home with a defeat? Joshua is confident of victory – enough to state how he is recommending his fans to bet their hard-earned money on him winning and winning via KO. Price on the other hand, admits he is “desperate” and that he knows full well he is expected to fall. Povetkin (who, interestingly, the knowledgable Peter Fury, a man whose opinion is always worth listening to, says does not do well against tall fighters) will KO Price, the “experts” say – and it’s only a matter of which round he chooses to send the giant crumbling to the mat. But a desperate fighter can often prove to be a dangerous fighter. Does Price, his very career, and with it his means of earning a living, on the line, have it within himself to come out at bell-one and let it all out; in a gung-ho, go-for-it, punch with abandon approach? If Price does, and if he adopts such an approach, the fight could prove to be very interesting. Price, a big man, always could punch, and his heavy hands remain dangerous weapons – if he lets them go, that is. 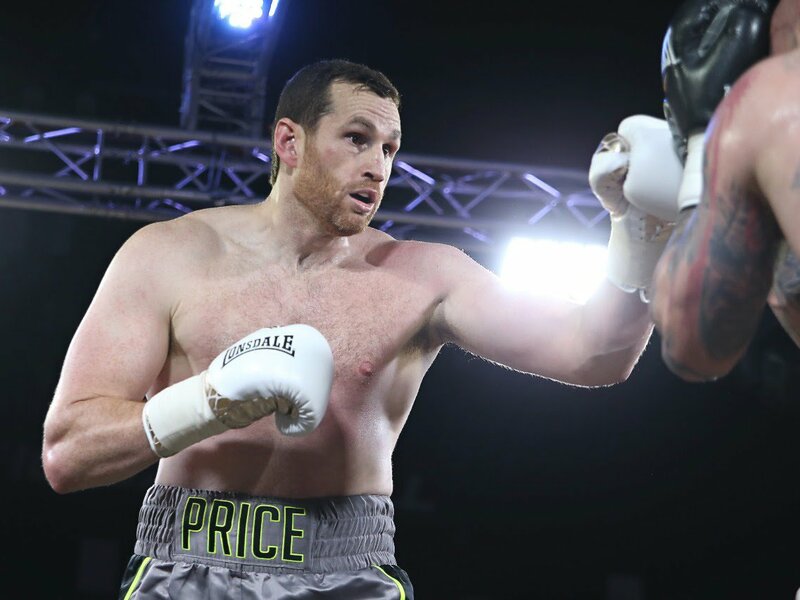 If he tries to box (and, perhaps worryingly, Price has said the fight might surprise everyone by going the distance), the likeable banger from Liverpool figures to get outfoxed, outsmarted and ultimately knocked out. But if Price comes out, as one boxing fan said, in a “Hagler-Hearns frame of mind,” he might, just might, revive his career in spectacular fashion. It’s kill or be killed for Price; it’s KO or get KO’d. And if the former Olympian (winning a bronze, Povetkin winning a gold) understands this and is able to tap into his violent, the hell-with-it mindset (if he has one) and comes out slinging big, hurtful bombs, then we will have a FIGHT on our hands, instead of yet another humiliation for Price. If he comes out slugging and gets caught, at least Price will be able to look back with some pride, with the satisfaction of having gone for it, and of giving the fans a thrill for however long. And what if Price hits the jackpot and sends Povetkin reeling? It’s a crazy sport at times, and if they do both manage a win on Saturday, who knows – maybe AJ and Pricey will wind up facing one another one day! Wouldn’t that be some story. You are here: Home / Boxing News / What price a British double? Can AJ and Pricey both win on Saturday?